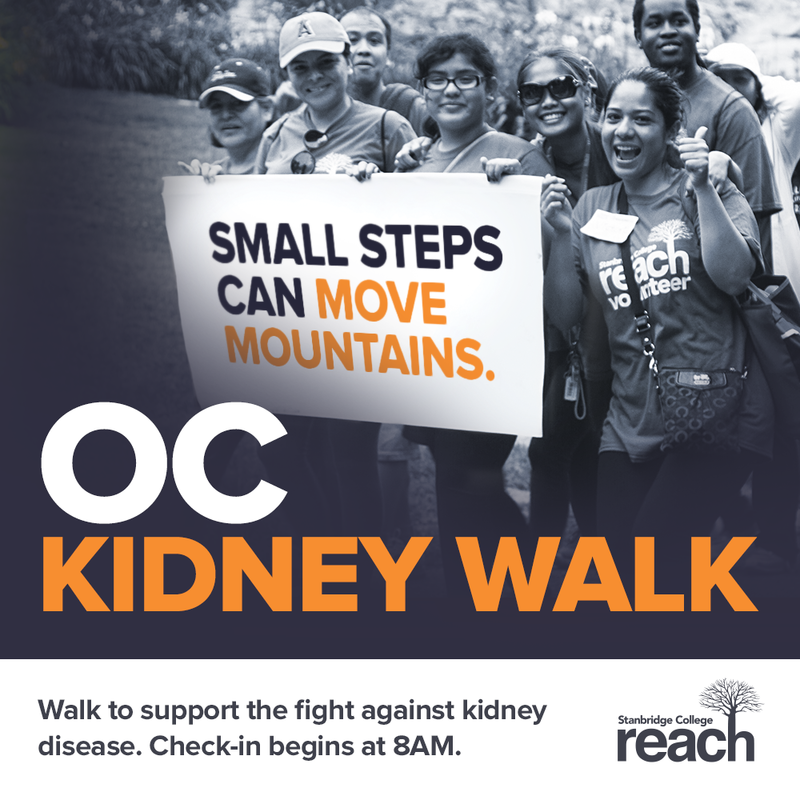 Stanbridge College REACH invites you to join Team Stanbridge College and walk for a cause at the Orange County Kidney Walk on Sunday, June 8, 2014 in Irvine. With obesity on the rise, more and more Americans are dealing with diabetes and high blood pressure – the two main causes of chronic kidney disease. There are over 26 million American adults who have chronic kidney disease and millions of others who are at increased risk. Because symptoms may not appear until the kidneys are actually failing, millions of people with kidney damage remain unaware and are not taking steps to protect the health of their kidneys. The OC Kidney Walk is a fundraiser to help the National Kidney Foundation call attention to the need for organ donation and prevention of kidney disease. Register: Click here to register! All volunteers will be sent an email with more details and instructions to complete the registration process. Every 5 minutes, someone is diagnosed with chronic kidney disease. Join Stanbridge College REACH and the students and faculty of the Hemodialysis Program in helping make a difference in our community!